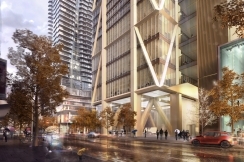 A spectacular mixed-use condominium with an exoskeleton design by Foster + Partners and Toronto's Core Architects is being constructed on the south-west corner of Yonge and Bloor streets in Toronto. 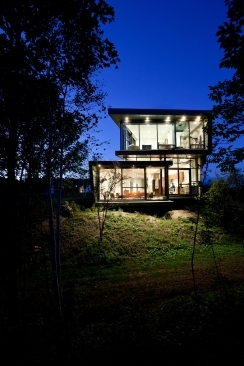 This private residence in Port Hope by Teeple Architects is a secluded escape that overlooks Lake Ontario from a 75-foot high escarpment. 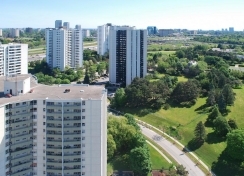 If you have ever driven down Toronto's Don Vally Parkway, or explored the surrounding Greater Toronto Area, you'll see apartment buildings dating from the 1950s through 1970s standing tall across the urban landscape. 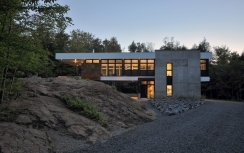 These towers are part of a renewal project led by ERA Architects.